Take a load off and play this new free and simple to play game called Icomania 8. From the creators of “Logos Quiz 8″ for Windows Phone! Can you guess what all the icons represent? Get ready for hours of fun! 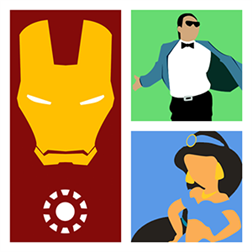 Icomania 8 will let you find out if you can recognize hundreds of cool icons! It’s super easy, just take a look at the icon and find the corresponding letters!